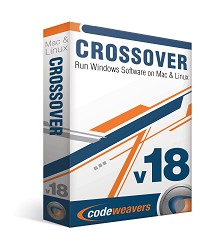 CodeWeavers latest version of CrossOver for Linux and Mac has been released. . CrossOver 9.0 (codenamed Snow Mallard) is a commercial software that helps installing Windows applications via Wine easily for Linux users. It is a well tested software. But it is not a free software. CrossOver costs $39.95 for the standard version, or $69.95 for the pro version. But it is worth for your money. CrossOver 9 has a very good user interface. 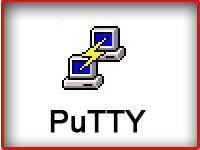 It help you to install your windows applications in a few clicks. 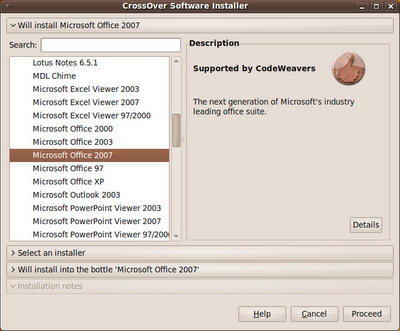 CrossOver also downloads and installs any needed frameworks, fonts, and plugins. 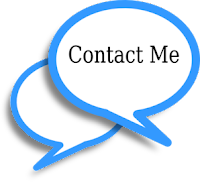 It has a feature "Community Supported Applications" , this will help you to install unsupported windows applications with the help of a growing community support.